We take pride for being the most friendly and service oriented crewed Yacht charter company concerning Eastern mediterranean and Turkey. having thousands of motor yachts, Turkish gulets and sailing yachts in our portfolio, we are ready, willing and able to propose you and your loved ones either a large Gulet or a motor yacht for your preferred charter period onboard the most suitable yacht for you. 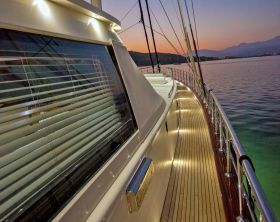 Our motto is to leave you in peace but never alone since luxury crewed yacht charter in Turkey is what we do and we try to be the best…! 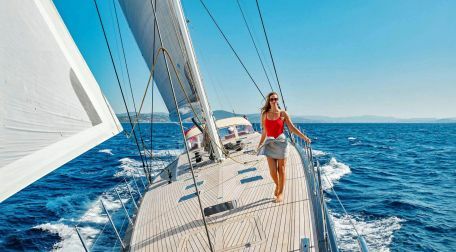 Being a captain we have professionally started a prominent yacht charter and brokerage company in Turkey concerning Yacht Building, Yacht sales and Yacht charter Turkey and we are proud to be recognized as the good guys in our industry. 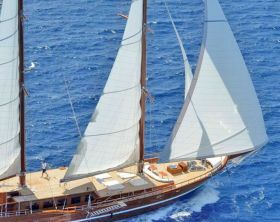 Please consider us, when you need a friend who could advice you which Gulet is most suitable and available for your preferred charter period.